Singing remixed versions of classic standards and her own compositions from her latest album, songstress Athésia invites you to an enchanting evening. Come and enjoy an intimate cozy atmosphere that unites Ella Fitzgerald, Nina Simone, Françoise Hardy, Boris Vian, Massive Attack, The Doors, few Haitian Creole songs with some Bossa Nova. Singer/songwriter and composer Athésia sings in French, English, Creole and Portuguese. Born in Montreal to Haitian parents. Athésia is of french, spanish and taino descent (indigenous from the Caribbean). Athésia has performed in the past in Brazil, Peru, Argentina, Haiti, USA, Sri Lanka and China. In March 2017, Athésia was invited by the Consulate of Canada to sing in Vietnam during the celebration of La Francophonie. SMO continues it's amazing residency at Lazybones! 15 piece Sonic Mayhem Orchestra is joined by the amazing PAT POWELL! Aria award winning vocalist supreme with The Melbourne Ska Orchestra. In 2019 SMO is celebrating 7 years since it’s very first performance! Pat will be singing SMO’s original takes on Bob Marley, Ray Charles and Stevie Wonder. Plus super groovy originals by the award winning band leader James Ryan. 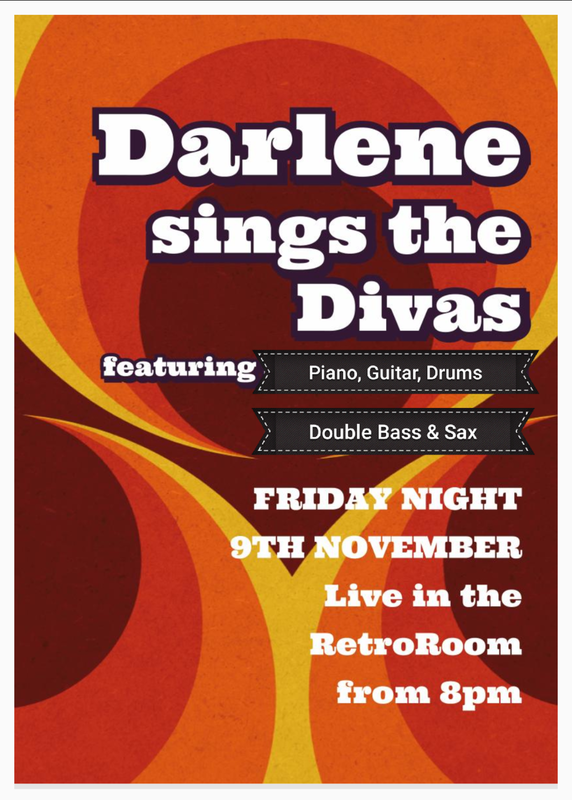 The amazing JO FABRO and TRISH DELANEY BROWN will be singing backing vocals! Get down to Lazybones to get down with SMO. Doors/Restaurant 7pm. $15 at the door. $25 with our amazing live CD! children 15 and under are free! Australian-born and Marrickville local, Dave Panichi, is internationally respected as a virtuoso lead trombonist, soloist, session player, composer and arranger. Dave’s original compositions and arrangements have been performed and recorded by, among many others, the Buddy Rich Big Band, The Village Vanguard Orchestra, Blood Sweat & Tears, James Morrison, The Jazzgroove Mothership Orchestra (JMO), Ralph Pyl’s Sydney All¬ Star Big Band, Ten Part Invention and the Danish Radio Big Band. While distinctively Australian, Dave’s music pays full respect to the jazz tradition and is infused with the rich flavours and modern influences of the two decades he spent living and working in New York alongside the world’s leading musicians. Dave has recently returned from the US, where he recorded a DVD of his original big band compositions and arrangements performed live with an all-star group he assembled of New York’s finest musicians. “Paradigm” is out now. This week Dave Panichi Presents Sunday Soul Sessions with Pat Powell, Michael Coggins, Greg Royal & Patrick Danao celebrating the music of Otis, Stevie, Earth Wind & Fire, Temptations as well as their own Soul & Funk originals. $10 on door from 5:30pm. We open 4pm to midnight - come EARLY to grab a table! Doors and restaurant at 7pm. Please note: Children under 16 are FREEEE! $69 covers entry to both floors and complimentary canapés. Simba Mushete & Echoes of African Music play the oldest and sweetest melodious tunes all the way from Zimbabwe. Playing unique beautiful music using Zim traditional instruments like the Mbira and Marimba this is a night not to be missed. The Echoes’ music is irresistibly danceable and will get you moving on the dance floor all night long. Gervais Koffi & the African Diaspora back at Moonshine. Back fresh from a tour in Côte d’Ivoire. Bringing a mix of Reggae, French Caribbean Zouk & Afro Latin Grooves. The beaming smile of Pape Mbaye is as well loved as his wide musical talents. It’s an infectious smile that seems to go hand-in-hand with the West African rhythms that lie at the root of his music. Pape Mbaye, and his eight-piece band Chosani Afrique, bring some of the magic of West Africa to their audience – a night of Latin, reggae and jazz, inspired and led by this uncontainable master percussionist. Captivating and hypnotic, these are the sounds of a culture steeped in magic, ritual and a strong spirituality. They’re the sounds that bring people together, that celebrate, commemorate and rejoice a world of music from jazz to R’n’B to pop. And they’re the sounds that Pape has made since childhood. Sydney’s favourite boutique venue, and home to the world’s finest Singer/Songwriters, World Music, Jazz, Folk, Blues, Cabaret, Comedy and other acts from Australia and beyond. From the folks that brought you QIRKZ…a friendly space where camels roam free – a multi-generational space where young and old are welcome! (under 18’s do need to be accompanied by an adult). And where the music is curated to showcase the most wonderful acts from around the world. New killer tunes and grooves. Tribute to Ray Charles featuring George Washingmachine! historian, storyteller, praise singer, poet and musician. Learning singing, percussion and guitar is all part of a griot’s life. Performing with Chosani Afrique and The Protesters at the Marrickville Festival. Click here for set times and stage locations. Athésia, Haitian Canadian Creole Jazz Singer with a French Touch! Haitian French Canadian singer Athésia is honoured to be singing and sharing a Haitian Jazz Latin French show at Riverlights Festival in Maitland NSW. Discover the aromas of Haiti. Come and dance on the rhythms of Compas, Mini Jazz, Twoubadou, Zouk and Meringue to name a few. Songstress Athésia invites the public to an enchanting evening. Singing Haitian Creole songs, classic french songs and her own compositions from her latest album with “The Gentlemen”: Michael Coggins (Guitar), Giorgio Rojas (Percussion/Drums), Danny Junor (Saxophone) and lady Tina Harris (Bass). Born in Montreal to Haitian parents. Athésia is of French, Spanish and Taino descent (indigenous from the Caribbean). Athésia has performed in the past in Brazil, Peru, Argentina, Haiti, USA, Sri Lanka and China. In March 2017, Athésia was invited by the Consulate of Canada to sing in Vietnam during the celebration of La Francophonie. Music lovers all over the world recognise that this talented singer-songwriter is very charismatic and has a mesmerising presence on stage. Athésia sings in French, English, Creole, Portuguese and in “Athésian,” the polyphonic artistic language she invented. Come and enjoy an intimate atmosphere with Athésia and discover Haiti without leaving Sydney. The Street Food Markets are one of Sydney’s newest night markets, serving up authentic street food from around the world, and supporting refugee stallholders as they share with us their food and culture from home. Taste flavours from Iran, Ethiopia, Colombia, Sierra Leone and more – under the stars at the Addison Road Community Centre. FREE ENTRY - a great event for the whole family! So what happens when members of Watussi, King Tide, The Subterraneans, The Melbourne Ska Orchestra and more come together to play? These musicians bring their mix of tastes and cultures to meet on common ground and with their collective love of reggae and a firm handle on the street they create the sounds synonymous with a small Caribbean island and set out to play it across the largest island in the world. The Protesters' songs espouse a strong commitment to social and environmental justice. Brown’s trenchant creations are offset by smooth and soulful old school reggae riddims, fuelled by classy arrangements featuring a full complement of horns. Pat Powell, delivers each message with urbanity, belying the scarcely concealed contempt between the lines. Their music can be described as healing, enlightening or even cathartic, either way the positive vibrations of The Protesters reach out to all.